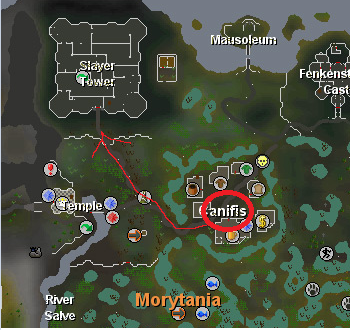 Is here a slayer tower, if yes, then where it is please? Yes there is a slayer tower! From falador you talk to the ghost right next to the tree patch. He will teleport you to Canfis and from there you just run north.